Today was the day. 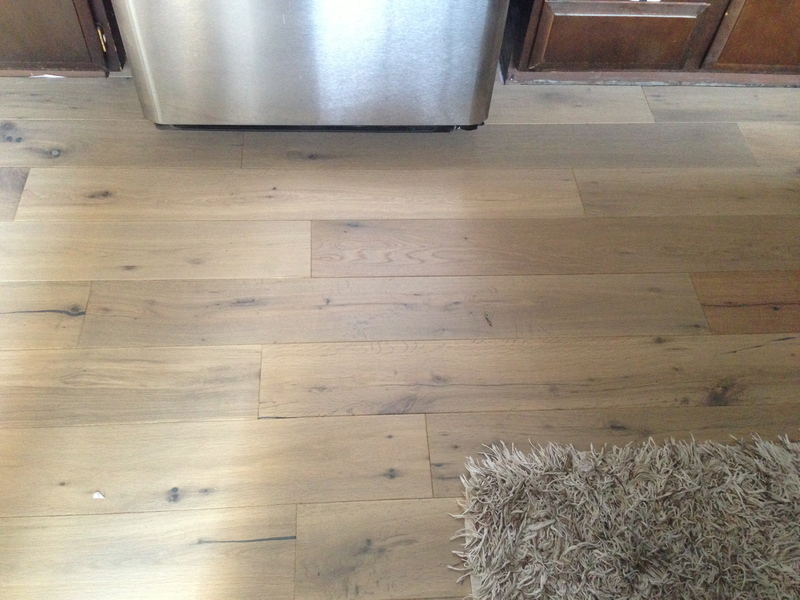 I FINALLY have my Provenza hardwood floors in both my kitchen and my entry! 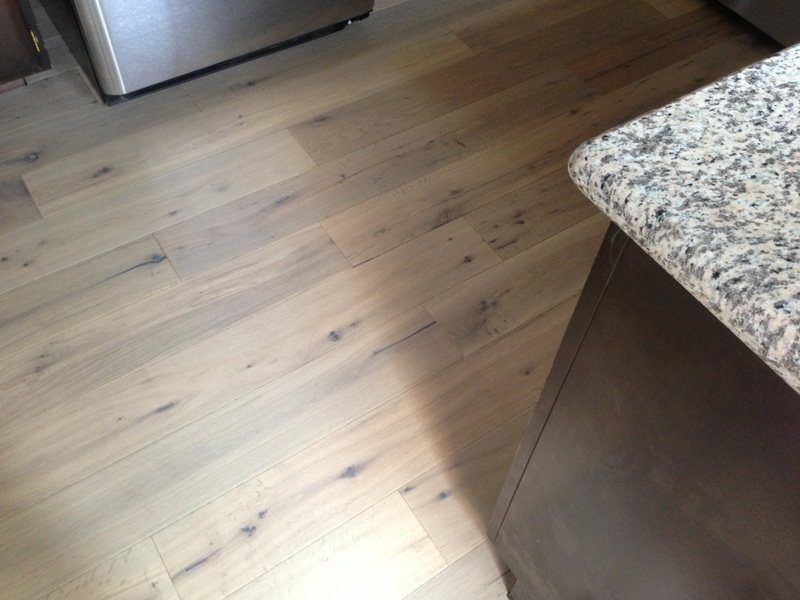 Love love love the floors!!! Clearly I still have to install the new base, and install a border around the toe kick of the cabinets, but we are getting there! 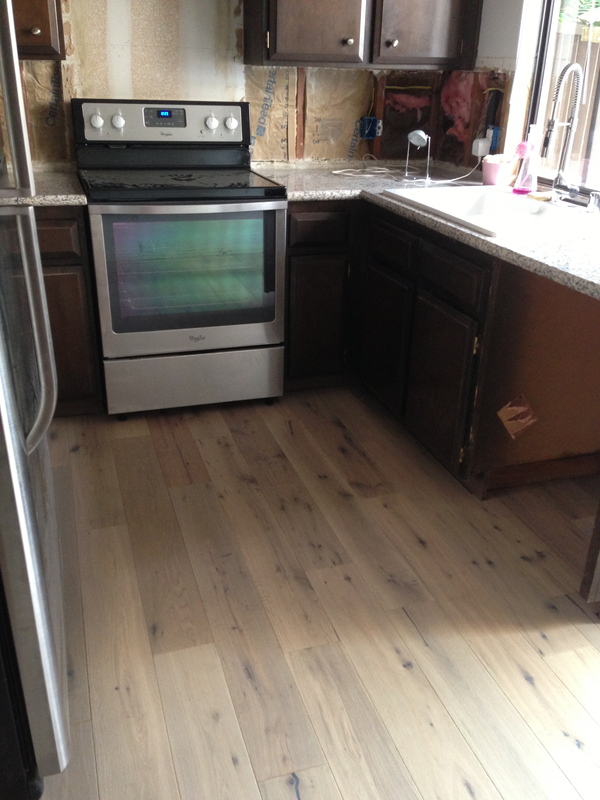 If I cant squint my eyes in just the right way I can picture the backsplash on the walls instead of exposed studs and insulation… the base already installed, and all appliances installed…. and I tell you, it looks BEAUTIFUL! With the time off over the extended weekend I’m hoping to install my dishwasher (almost can’t contain my excitement as I type this!) and we will see what else we can accomplish in this 100 degree heat!